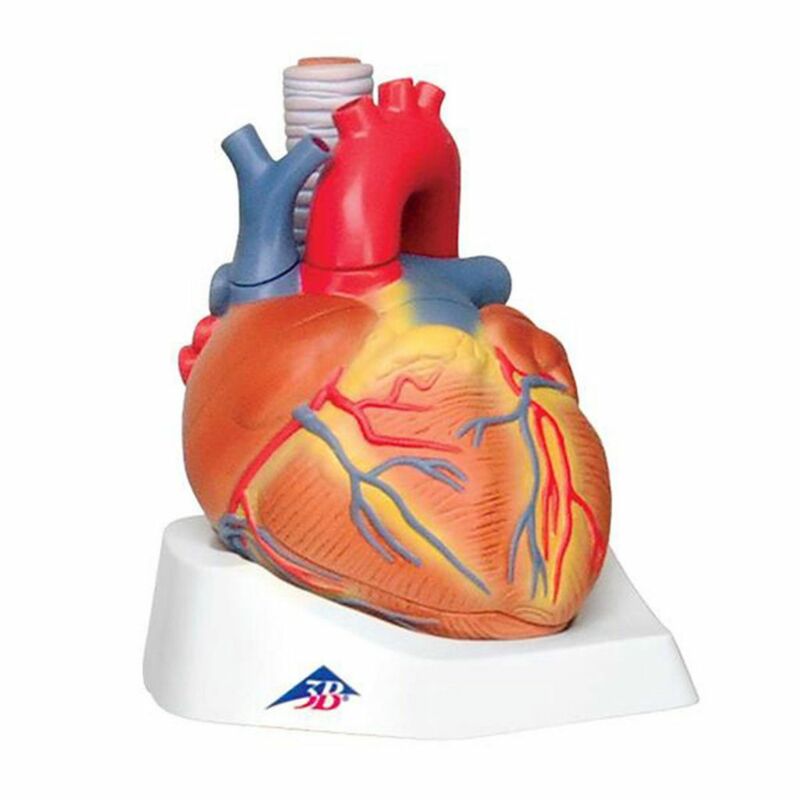 This model shows over 30 different anatomical regions in the heart. It's horizontally sectioned at the level of the valve plane. Users can remove the esophagus, trachea, superior vena cava, aorta, front heart wall, and upper half of the heart from the model. It comes with a product manual that makes identifying anatomical features easy. The model is supplied on a base. Ordering information: This product includes a manufacturer's warranty.